Education minister says Israel must ensure security for southern residents before worrying about any ceasefire agreement with Hamas. 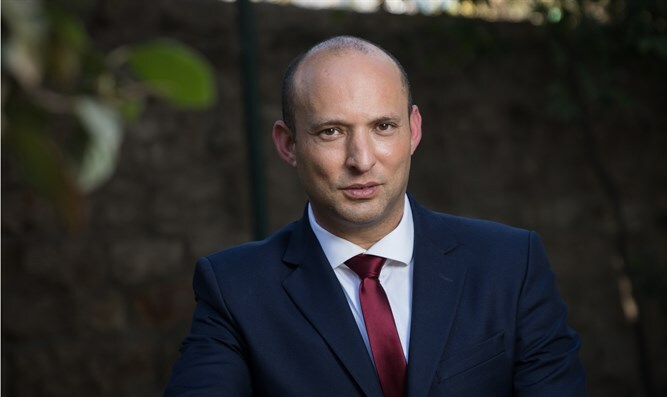 Education Minister Naftali Bennett spoke Wednesday evening at the Institute for National Security Studies (INSS) Conference on Cyber ​​Regulation. Bennett said that Israel's security policy is not consistent with that of the right-wing government. "Earlier today, the IDF Southern Command spoke of the security situation along the Gaza Strip border and said, 'Israel does not hit the ballistic launchers in order not to harm the hasbarah efforts. The commander of the IDF and the IDF obviously receives the instructions from the political echelon, so I have no complaints about the commanders. He is an excellent commander. The address [for this policy] is in the political echelon, and that's exactly where the problem lies." "Israel does not strike the launchers in order to avoid harming the cease-fire efforts. I say - first we must define Israel's security policy. I would like to state clearly: The security policy of a right-wing government is first and foremost security, and only then can we worry about a cease-fire. Israel's security comes before the arrangement with Hamas. We must not surrender to Hamas extortion," added Bennett. "At the moment we are using heavy violence against us, and we are saying, 'Now we are in negotiations, so we will not fire on you in order to complete the negotiations.' Israel's policy must return to its axiom: the border is absolute. "Terrorists: do not touch the fence, do not cross the fence, do not dismantle the fence. The simple rule should be: zero tolerance for terrorists, security and a normal life for the residents. I will continue to fight for this."